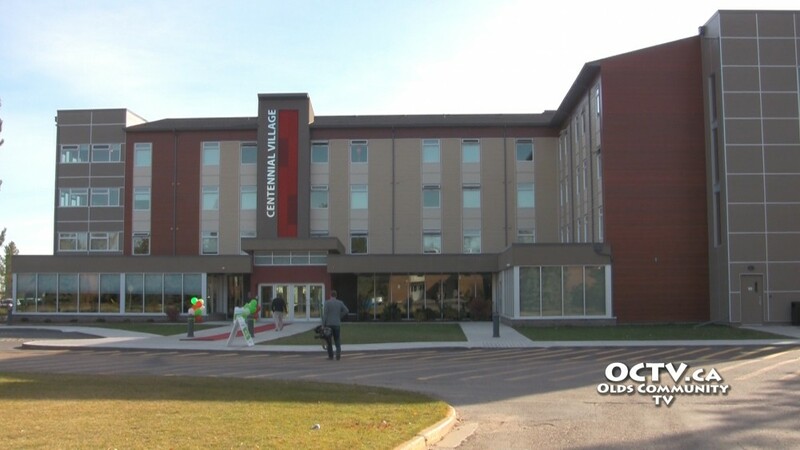 On the 15th of October, the ribbon was cut in front of the new Centennial Village student residence, after those who had gathered had heard a few words from Shunda Contstruction’s president Ben Meyer, the Olds College president Tom Thompson, and others. The residence was unconventionally designed, built, financed and is now operated by, the college in partnership with Shunda. It is the first in western Canada to follow this model. Cake in the shape of the building was shared around and guests took tours of the new residence, which includes a fitness room, numerous common areas for study, and large mudrooms specifically requested by surveyed students before the building was constructed.